(Reuters) - A U.S. judge on Monday affirmed a verdict against Bayer AG unit Monsanto that found its glyphosate-based weed-killers responsible for a man’s terminal cancer, sending the German company's shares down 8 percent. 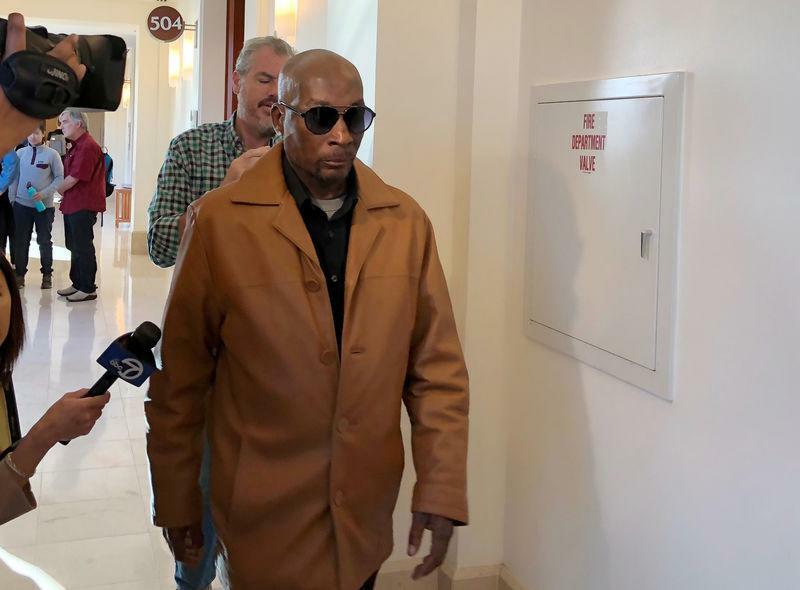 In a ruling by San Francisco's Superior Court of California, Judge Suzanne Bolanos said she would slash the punitive damages award to $39 million from $250 million if lawyers for school groundskeeper Dewayne Johnson agreed. "According to an earlier hearing, the judge toyed with the idea of dropping the damages altogether," brokerage alpha said in a note to clients. "Now, however, the judge made a U-turn and confirmed the jury's previous verdict." A jury on Aug. 10 found the company’s glyphosate-based weed-killers, including RoundUp and Ranger Pro, had caused Johnson’s cancer and that the company failed to warn consumers about the risks. The verdict wiped 10 percent off the value of the company and marked the first such decision against Monsanto, which faces more than 8,000 similar lawsuits in the United States. The German company, which bought Monsanto this year for $63 billion, says decades of scientific studies and real-world use have shown glyphosate to be safe for human use. "The evidence presented to this jury was, quite frankly, overwhelming," the lawyers said. The amount of punitive damages is limited by law, and Bolanos said California's constitution did not permit a higher award. If Johnson accepts the reduced damages, the final verdict would order Monsanto to pay a total of $78 million, split equally between compensatory and punitive damages. Bolanos' Monday decision is a turnaround from a previous tentative ruling she issued on Oct. 10. In that preliminary order, Bolanos said she was considering ordering a new trial on punitive damages, saying Johnson had failed to meet his burden of producing clear and convincing evidence of malice or oppression by Monsanto, a requirement for allowing a jury to award punitive damages. But following that tentative ruling, at least five of the jurors who delivered the Aug. 10 verdict sent letters to the judge, urging her to uphold their decision. Bolanos did not directly refer to the jurors' letters in her Monday ruling, but said the jury was entitled to its findings. In September 2017, the U.S. Environmental Protection Agency concluded a decades-long assessment of glyphosate risks and found that the chemical was not a likely carcinogen to humans. However, in 2015, the cancer unit of the World Health Organisation classified glyphosate as "probably carcinogenic to humans." Johnson's case, filed in 2016, was fast-tracked for trial due to the severity of his non-Hodgkin's lymphoma, a cancer of the lymph system, that he alleged was caused by years of glyphosate exposure.